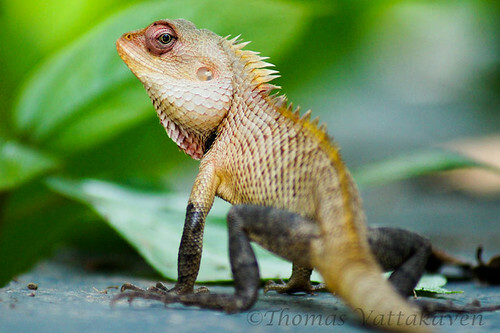 The Oriental Garden lizard (Calotes versicolor) is commonly seen in many parts of the world. However it is the male in breeding season that makes this creature worth noting. 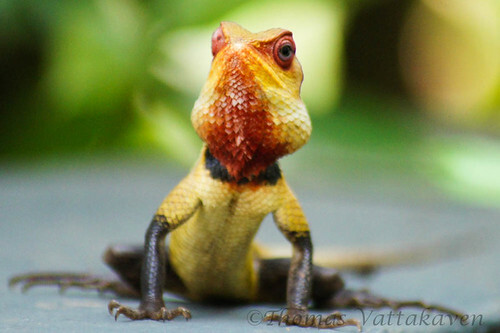 The garden lizard is commonly referred to as the “Bloodsucker”. This name is incorrectly pinned on this harmless creature due to the red throat that the breeding male displays during breeding season. 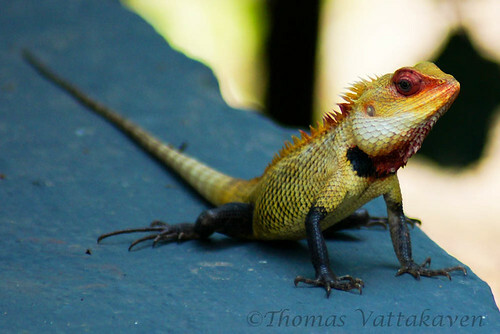 It is thought that the red throat was due to the lizard sucking blood. However this is not true. When I stepped out of the house today, I was greeted by one such displaying male. I quickly grabbed my camera, switched to my 70-300mm and began shooting away. 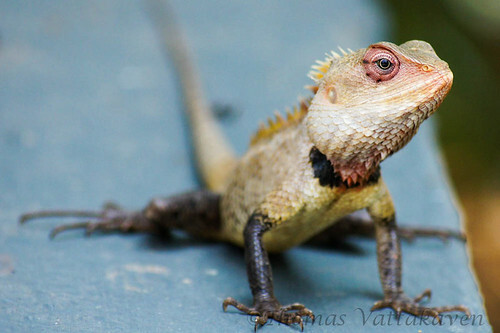 The lizard is normally a dull brown to olive colour and can switch colours as needed. 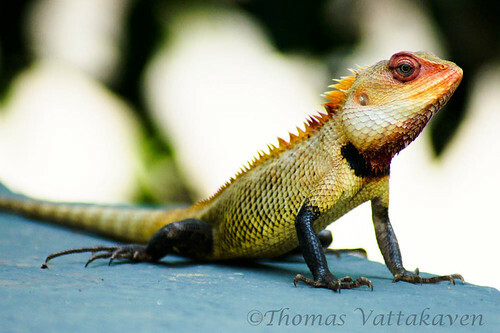 The lizard didn’t seem to mind my presence but it slowly began to lose its colour as I got closer. 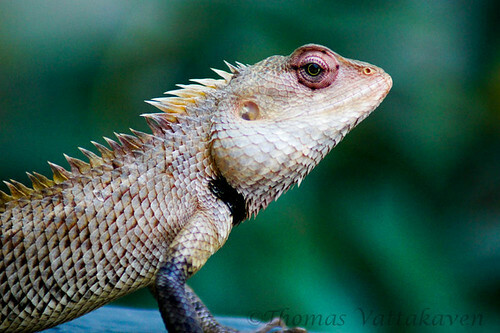 The garden lizard is also called as the crested lizard (or the changeable lizard) as both the male and female have crests along its back up to its tail. 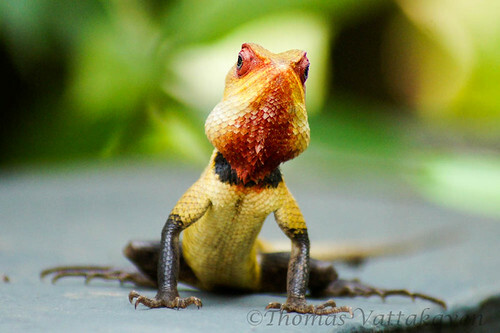 It preys on insects other lizards and even small vertebrates. They have teeth but it is used more for gripping than biting. When we were kids, I remember one bit our cat and just refused to let go! The cat not only survived but also had its attacker for lunch!